A tradition started back in the 20th century, Ashkenaz’s Grateful Dead Night is always evolving, reaching new heights since Stu Allen & Mars Hotel launched a weekly residency in late 2011. Led by acclaimed guitarist-singer Allen (of Phil Lesh & Friends, Melvin Seals & JGB, Ghosts of Electricity), a revolving cast of incredibly talented musicians inhabits Mars Hotel, drawing from the Grateful Dead’s vast catalog to delight Deadheads and dancers of all generations. A Mars Hotel show is always an energetic evening of good vibes, good music, and good community. When it became apparent that Jerry Garcia had played his final show in 1995, Stu Allen began working to keep Garcia’s music, sound, and spirit alive in the concert setting. 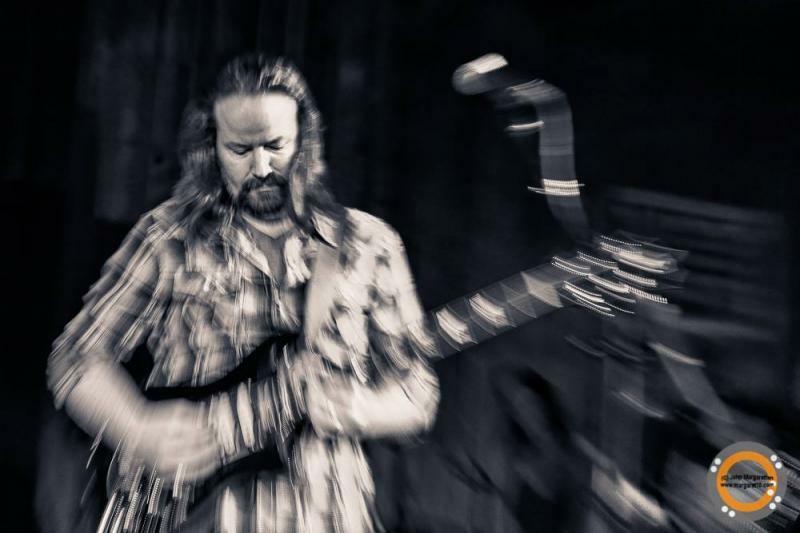 He regularly works with Phil Lesh and has also played sets with Bob Weir and Bill Kreutzmann. Allen is perhaps most known for fronting Melvin Seals’ tribute to the Jerry Garcia Band from 2004 to 2011. He received more national acclaim in 2010 when he toured with Dark Star Orchestra. Allen shares the Grateful Dead’s commitment to making each performance a unique event, from preparation to execution. He will perform multiple shows before playing the same song twice, and even then, that song will not be realized in quite the same way. Mars Hotel takes this idea a step further by presenting a new band at each performance. Drawing from the rich music scene of the Bay Area, Allen has assembled a broad and ever-rotating group of musicians that makes each concert a once-only experience. As far as Grateful Dead tribute bands go, this is a concept that has never been done before.